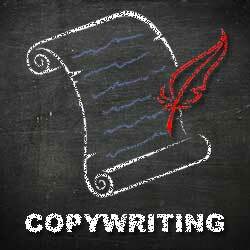 For any marketing message to be effective it should be written by a skillful copywriter. When hiring DLM Marketing for copywriting we take the ultimate responsibility for your advertisement’s verbal and textual content. Basically DLM Marketing is responsible for telling the story, crafting it in such a way that it resonates with your targeted audience, ideally producing an emotional response. Not only can we write engaging marketing messages DLM Marketing’s digital designers work with our copywriters and take care of the visual communication and, particularly in the case of print work, may oversee production. This process of collaboration ensures you get professional quality and effective marketing material that gets you results. Copywriting services are not just restricted to print media the internet continues to increase opportunities for your business to get marketing messages out to your target market. Such marketing and copywriting opportunities include web content, ads, emails, blogs, social media and other forms of electronic communications. Writing for the web is very different from writing for other media, tending to be more concise than traditional advertising. Other technical touches also come into play. It has also brought new opportunities to, conduct research and view others’ work..
Copywriting Content writing on websites must include among your objectives to achieve high rankings in search engines. Commonly known as search engine optimization or SEO, this practice involves the strategic placement and repetition of keywords and keyword phrases on web pages, writing in a manner that human readers and web crawlers would consider normal.